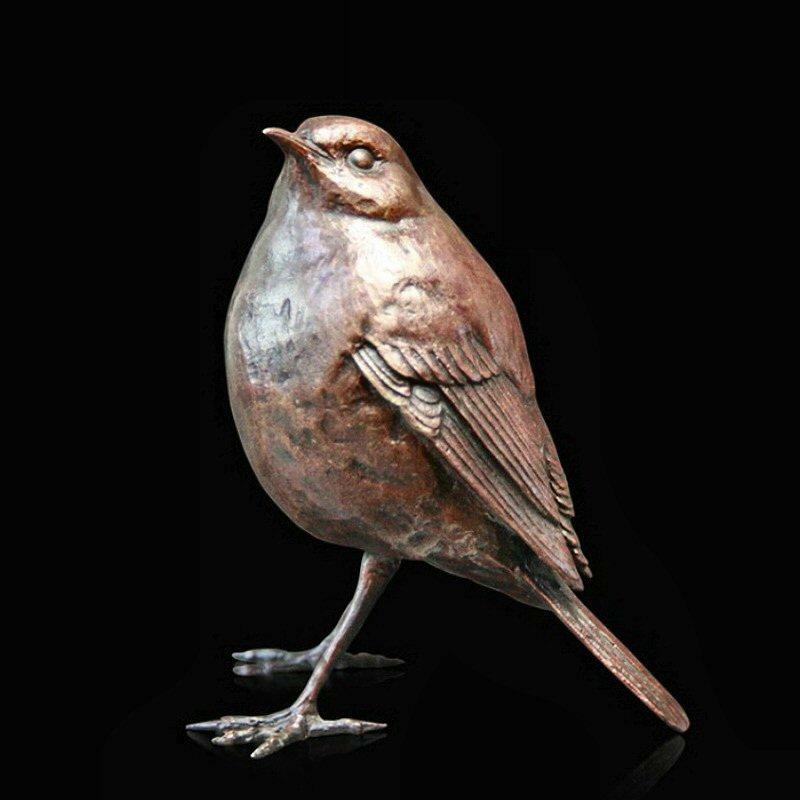 A charming solid bronze, finely crafted, limited edition sculpture of a robin by wildlife sculptor Michael Simpson. The distinctive and much loved, red-breasted Robin is one of the most popular visitors to British gardens and was in fact voted Britain's National Bird in 1960. Robins are the only garden birds to sing all year round.